Check out Tobi's Ilyn Corduroy A-Line Skirt Whatever, I'm still fabulous in the Ilyn Corduroy A-Line Skirt. 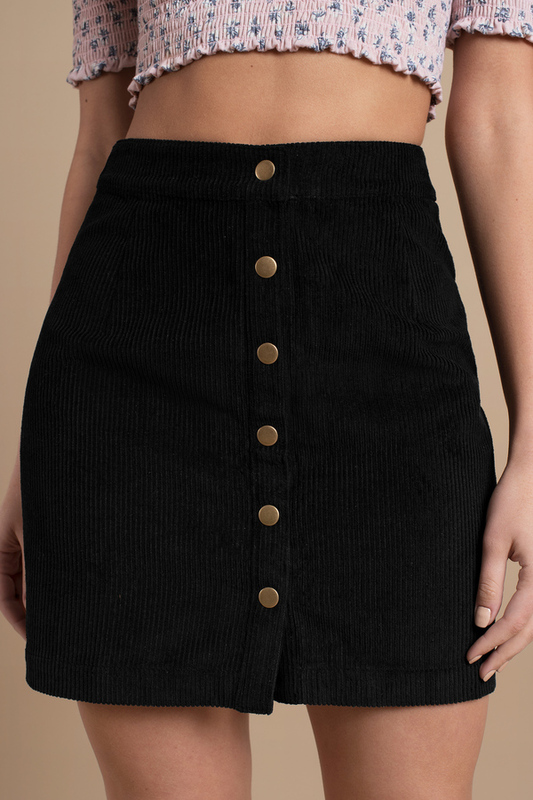 A corduroy skirt with front button down closure. Beat the denim skirt blues and pair this casual high waist skirt with cute booties the next time you step out. 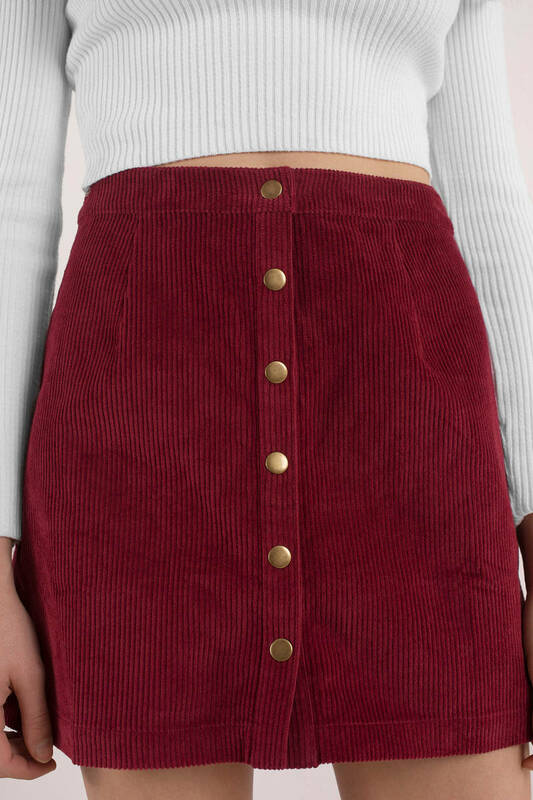 Whatever, I'm still fabulous in the Ilyn Corduroy A-Line Skirt. 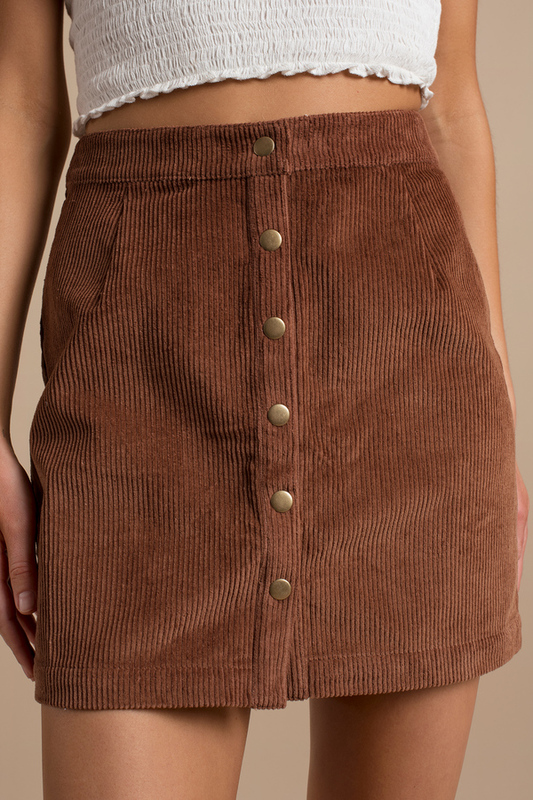 A corduroy skirt with front button down closure. Beat the denim skirt blues and pair this casual high waist skirt with cute booties the next time you step out. Camel, White modeled on a size Small.